Well, hello there fellow current and/or future glasses wearers. The good folks over at Firmoo (www.firmoo.com) offered me another chance to check out another one of their products, and I have to say, I’m very happy with what I received. 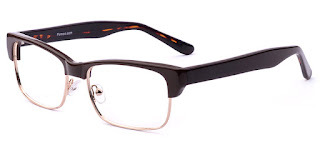 I opted for a pair of brown tortoise shell, acetate and wire frames. Paired with my huge, hulking lenses (yeah, my eyesight is pretty bad, but I’ll get to that later), these glasses definitely feel substantial. After just a few minutes after trying them on I could feel the pressure building on the bridge of my nose – but after a few slight adjustments, they fit perfectly, (something I’m not too accustomed to, due to my penchant for buying acetate frames without nose pieces). Structurally they are very sturdy. They’re a mixture of metal and plastic, held together by just enough screws. Which again, allows for more adjustments than I’m used to. The hinges are solid, though it’d be nice to have the flexibility of spring hinges, but I opted for a base model frame. I also picked the base lenses, which, with my prescription, take a considerable effort to hold into wire frames. Just a couple months ago I bought a pair of prescription sunglasses from another company. The lenses were huge and could be knocked out at the slightest touch. It’s no surprise that after one night of having *ahem* a few drinks, I woke up with only the lenses in my shirt pocket, (yeah, I know that’s kinda weird, but a whole lot of weird things happened that weekend… Kids, don’t drink. The frames have yet to be found.) So it’s awesome that these new Firmoo glasses have a solid hold on my huge lenses, because I think I may be having a drink or two later. Maybe more depending on the outcome of the Michigan State, Oregon game. 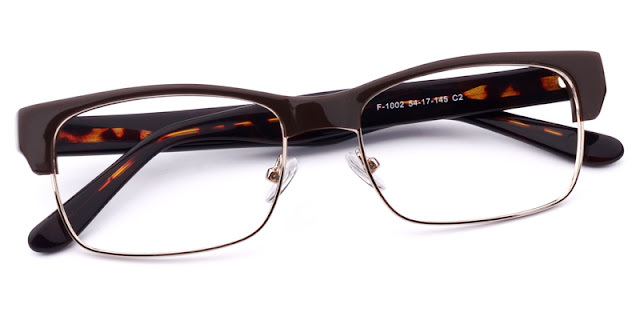 Overall I’m very happy with these glasses – the quality of the frames and the prescription are great. I even swapped them out as my ‘daily wearers’. Only time will tell if the lenses are able to hold up to the abuses of work, but judging from my previous experience with Firmoo, I shouldn’t have much to worry about. Shipping took roughly a week, but I received them in the comfort of my own home, and didn’t have to make a special trip to the optician. I also didn’t have to peruse a lackluster, limited selection, surrounded by hungry salesmen, or sit through an awkward session with a stranger staring at me while trying to make my adjustments. Firmoo has a pretty unique selection of frames available, with new frames added every day. And for new customers, they are offering 15% off frames, site-wide. If you don’t know your prescription, and are happy with your current script, just give your optician a call, or stop in and ask for a copy. Warning: It may well be the last time you set foot in there.